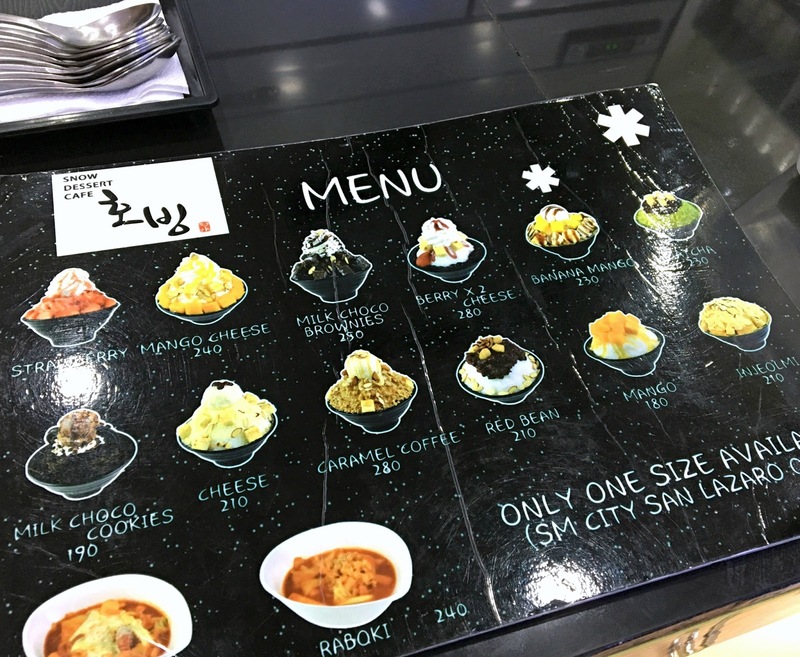 For today, I would like to share with you my Korean Dessert experience in Manila. 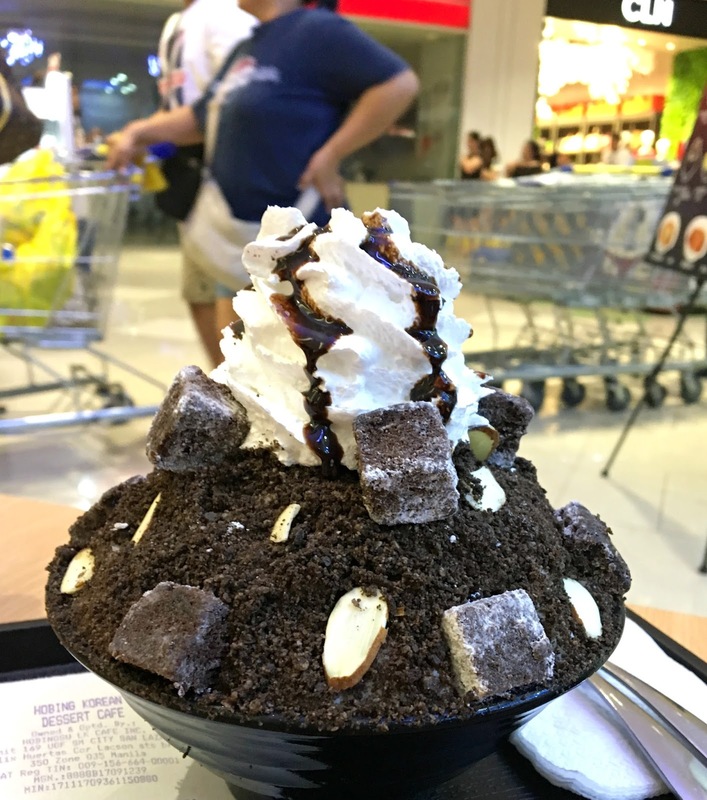 Have you tried bingsu yet? 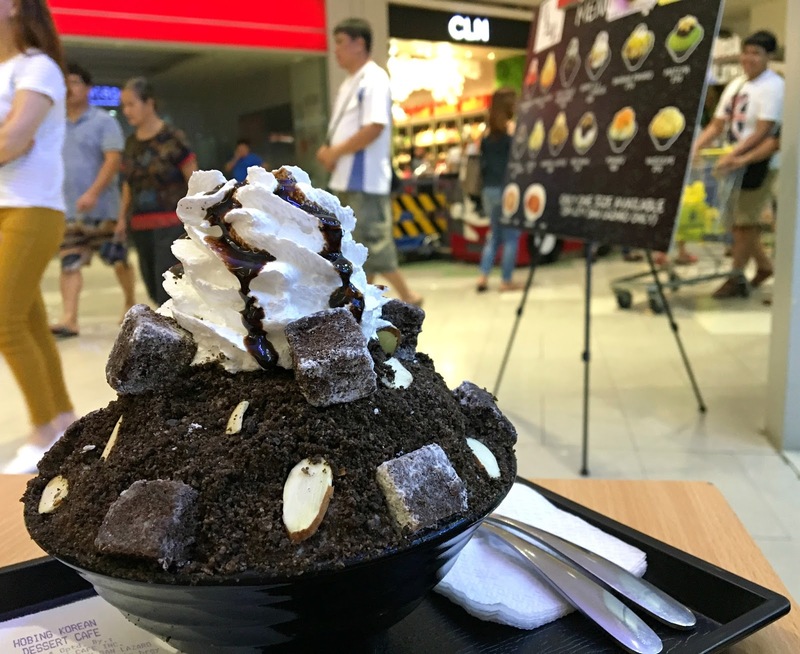 Any way, Bingsu or bingsoo is a very popular snack/dessert in Korea, especially during the summer season. This snack is composed of ice shavings and various ingredients such as condensed milk, fruit syrups, various fruits such as strawberries, kiwi, and bananas, small pieces of tteok (rice cake), chewy jelly bits, chocolates, brownies and cereal flakes. It is often topped with ice cream or frozen yoghurt. The most popular is Patbingsu that is made of sweetened azuki beans or you may call English red mung bean. 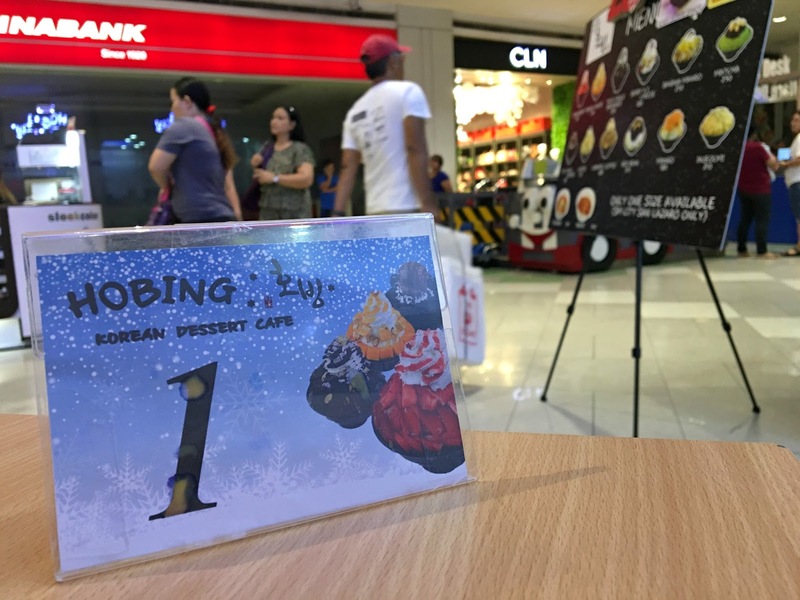 The last time we visit SM San Lazaro, me and my sister(whom a kdrama/kpop fan or totally korean fan) try for the very first time a newly opened restaurant in the mall. 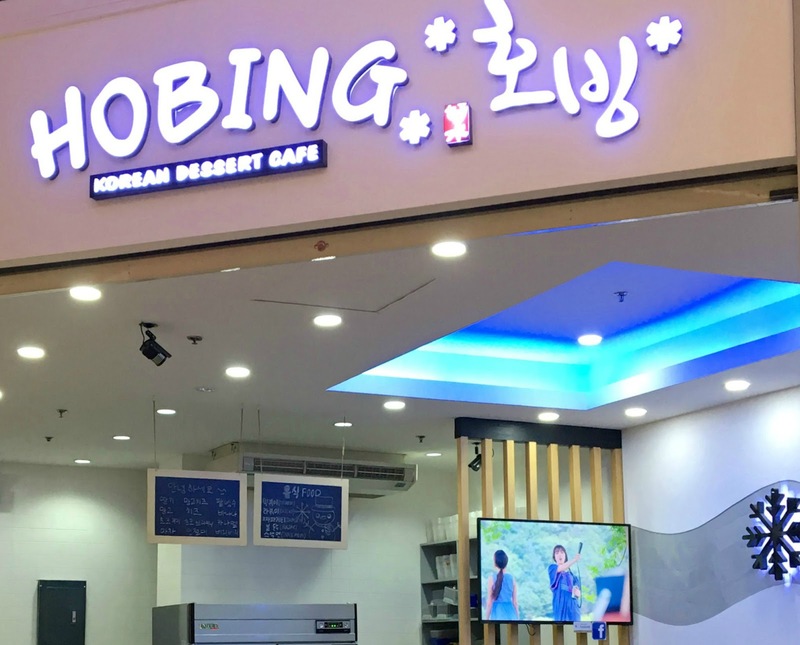 We visit Hobing, a Korean Dessert Cafe which is located at the UGF, SM San Lazaro Manila. The place is inviting and had a very open space that has tables and chairs outside. 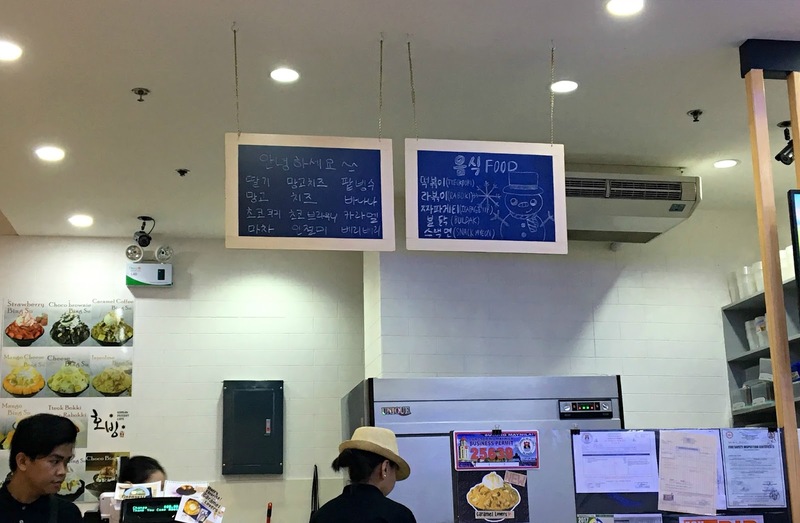 To be honest, some of the wordings displayed are totally hard to understand because it is in korean but their menu is in English. I find their dessert very appealing and I love how it is presented to the customer. One bingsu can be shared by 2-3 persons depend on your likeness and cost P180-P280 depends on the flavor. Since we are craving for some chocolate, we ordered the Milk Choco Brownies. It was good and I love on how the shaved ice is so fine. The brownies are so soft and easy to chew. Plus the staff are also accommodating when it comes to customer requests. I just noticed one thing that their pending numbers are worn out and hoping to have a better one soon since it doesn't look professional. Overall, we did enjoyed our visit and will definitely get back again soon when cravings kick in. VLOG #4: Nature at it’s Finest!